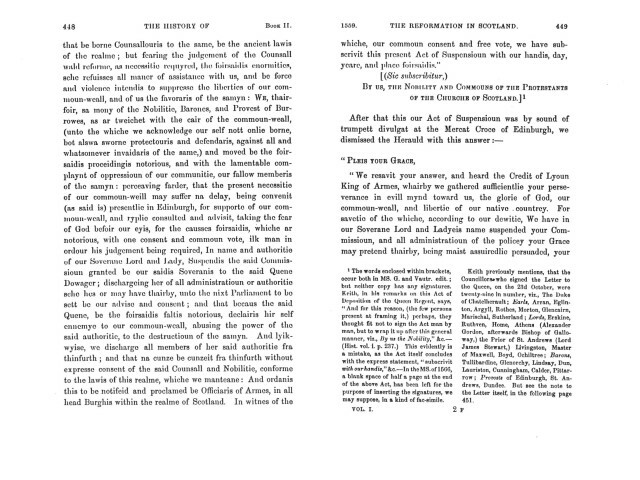 Act of Suspension 21 October 1559. 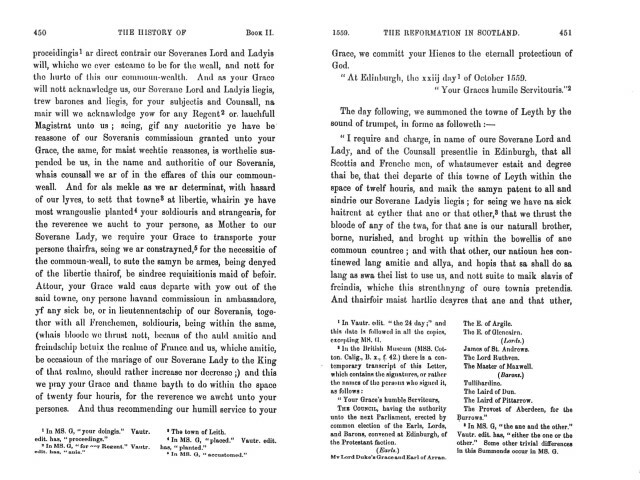 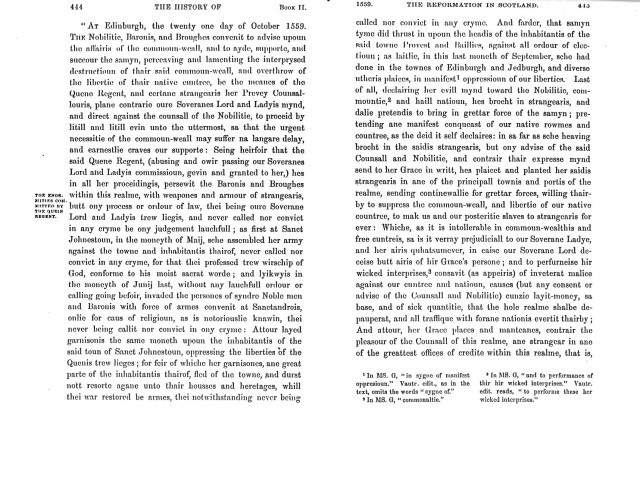 The Act is somewhat lengthy but important, as it reiterates the Congregation`s position and lists the rationale for the decision to declare Mary of Guise removed from the office of Regent. 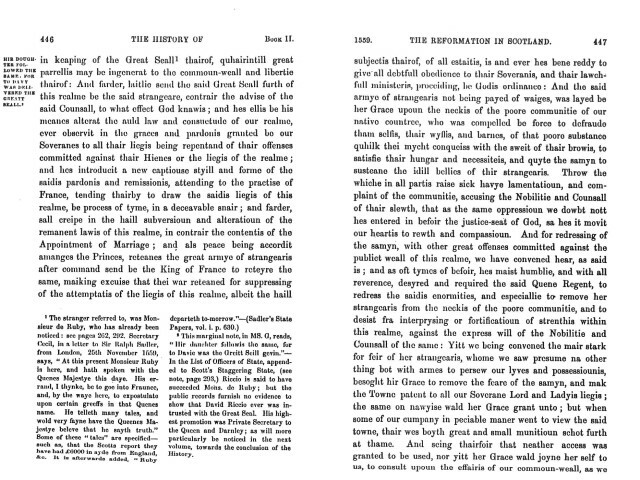 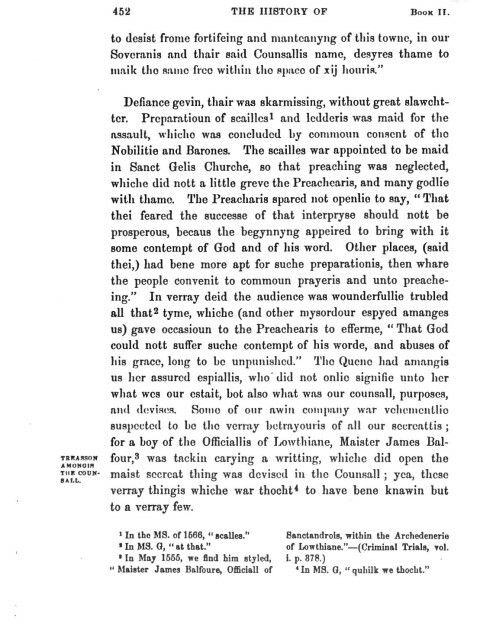 It marks the turning point in the dispute where war, for all practical purposes, breaks out with the assault on the people of Leith and French incursions into the Canongate district of Edinburgh.